It’s been 7 1/2 years ago since the last time I ate nasi tumpeng and that was on our wedding day in Indonesia. 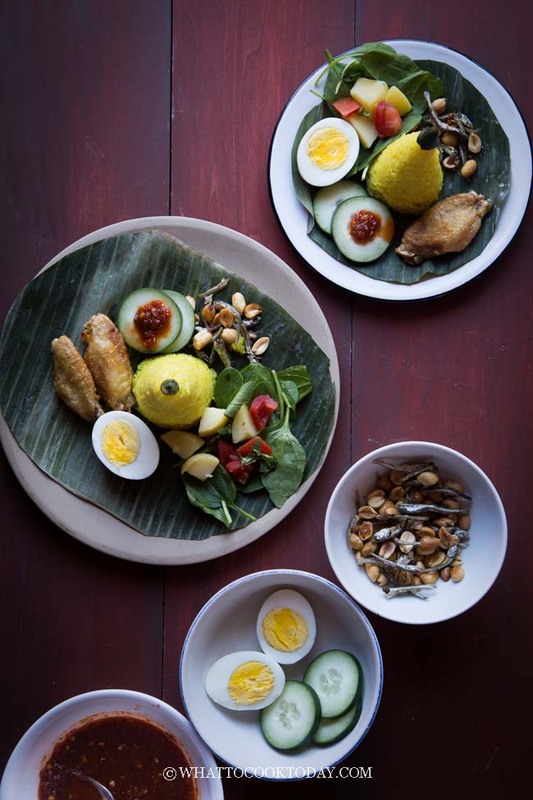 My mom’s good friend prepared a jumbo version of nasi tumpeng (enough to feed a large crowd) with elaborate entrees and side dishes surrounding the rice cone. I believe I still have the photo somewhere. Not in this computer, but somewhere. It was sooo delicious and pretty! 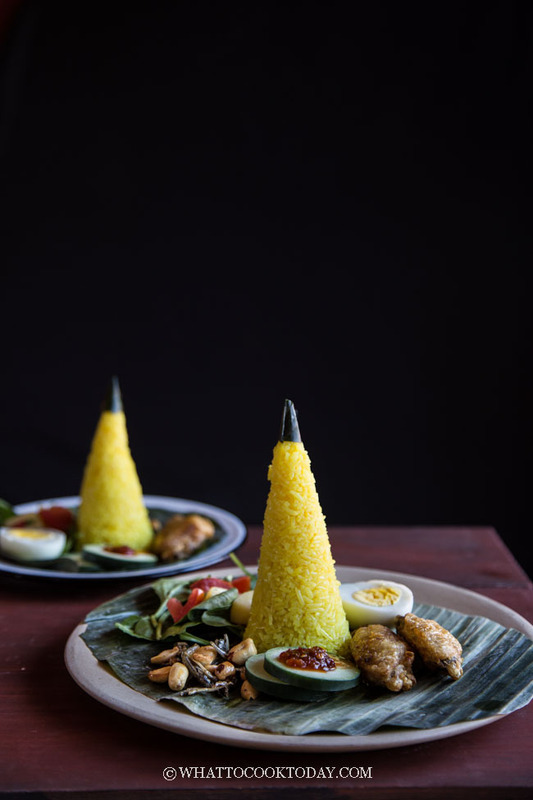 Nasi tumpeng is pretty much nasi kuning shaped into cones. 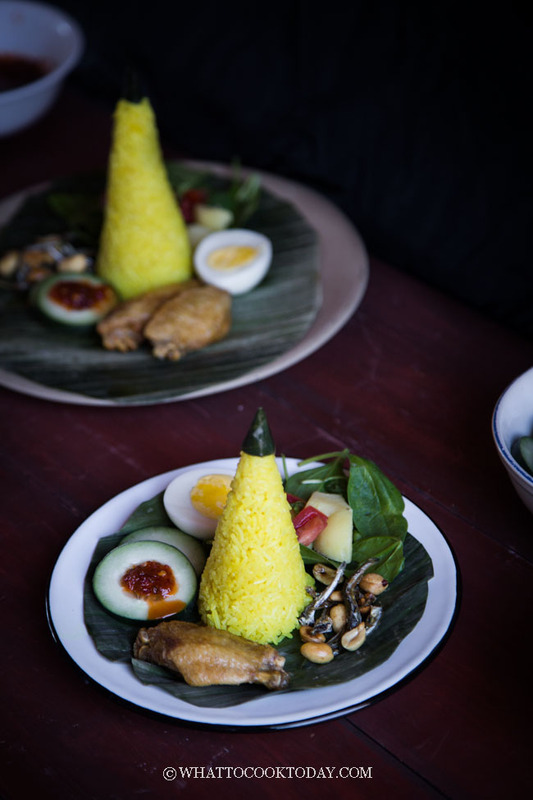 The rice is cooked with aromatic herbs, spice, water, and coconut milk all in one-pot. It’s truly very easy. 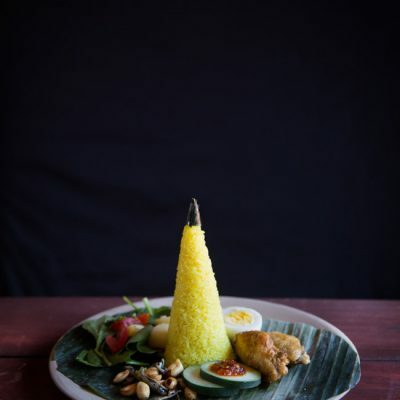 The rice is then packed into a cone shaped mould. 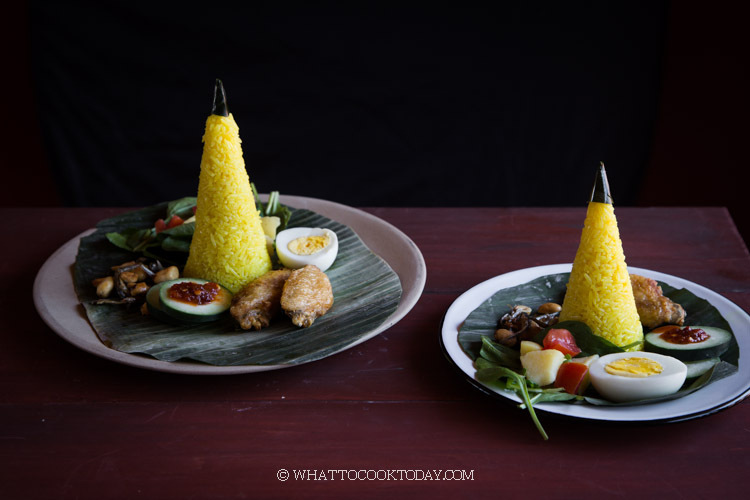 I used banana leaves shaped into a cone, or you can use aluminum foil to do that. 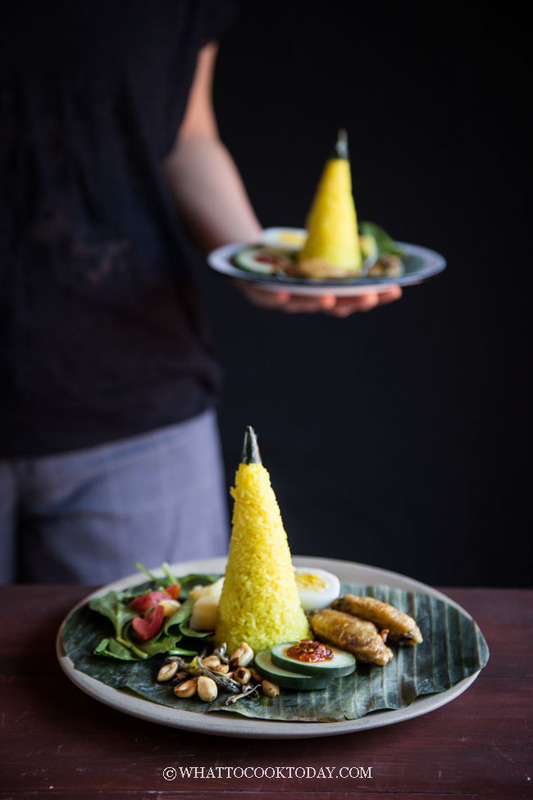 YOU CAN SHAPE NASI TUMPENG ANYWAY YOU WANT ACTUALLY! 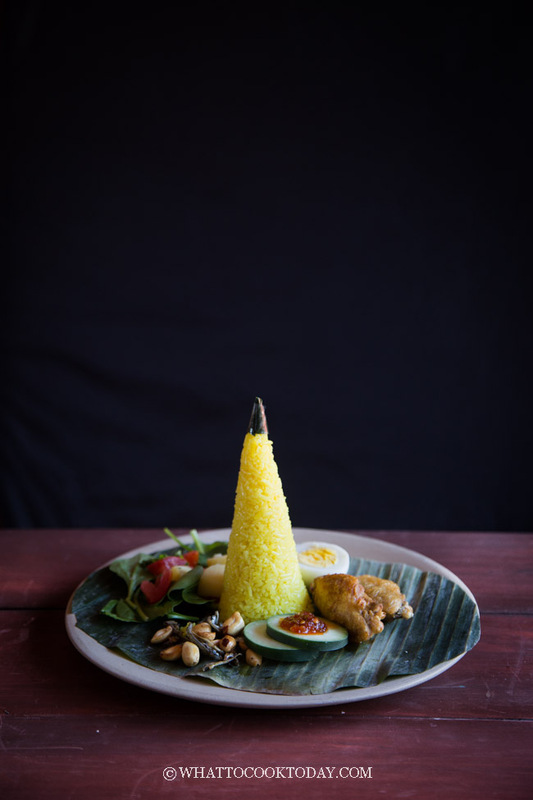 Traditionally nasi tumpeng is a cone shape, but in this modern day, I have seen square/box or round shaped that are stacked up like castles. Some people use a bundt pan to create beautiful shapes. You decide! The list can go on really. You can totally make it into meatless or even vegan if you prefer.